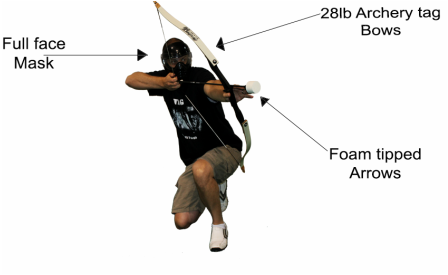 Archery Tag® is a phenomenal new concept in friendly combat sports that can be played indoors or out and utilizes archery with specially designed foam tipped arrows to play the game. Virtually painless and mess-free, unlike paintball, Archery Tag is intense enough for thrill seekers and safe enough for kids to play; making this game the most fun you'll ever have with bow and arrows! 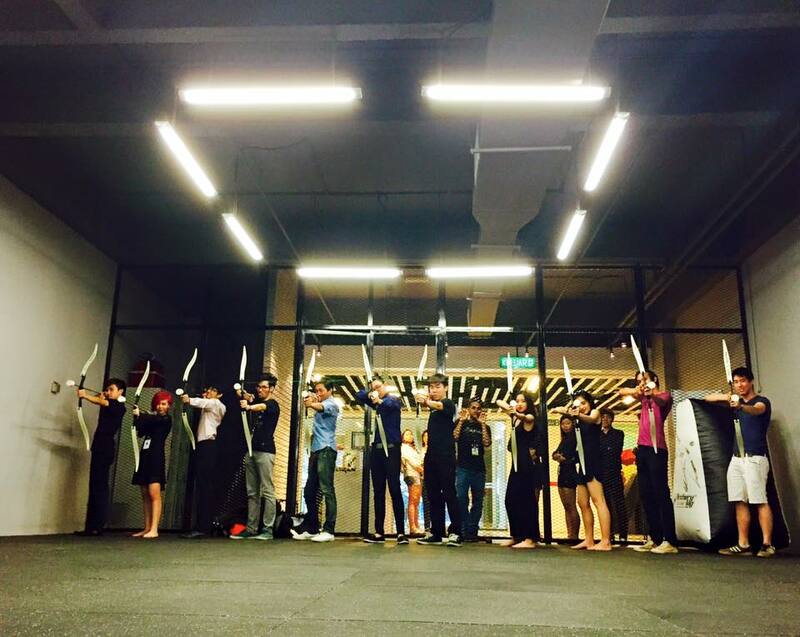 Come join us at Arena 51 to experience the newest, coolest, and fastest growing trend in survival-style combat archery which combines elements from paintball, dodgeball, and traditional archery, making it a uniquely thrilling experience. 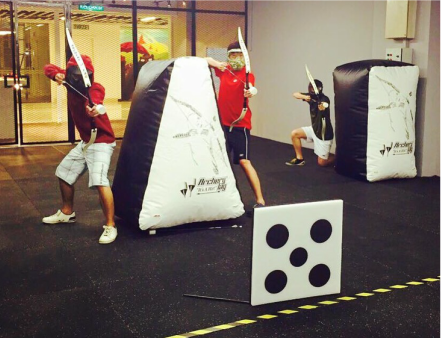 Archery Tag can be enjoyed by anyone over the age of 10 and is a fun interactive sport that promotes a healthy active lifestyle. Come feel the adrenaline as you shoot down your friends, family, and co-workers!